The Babadook is a horror movie released in 2014 which is based on the short film called Monster from 2005. While it may not have gained critical or financial success straight away, once it was shown at the 2014 Sundance Film Festival is grew a cult and then international following resulting in a $7million profit over its $2million budget. The movie focuses on the story of a widowed wife called Amelia whose husband died in a car crash on the way to deliver their son Samuel. When Samuel is born his constant fear of fictional monsters put Amelia in a depressive state. It’s only when she reads the Babadook book to her son that she begins to feel the monster’s presence too and sets out to destroy the book and creature once and for all. In this post we’ll be showing you how to make your own Babadook costume from scratch, as there are no official costumes available at the time of writing. 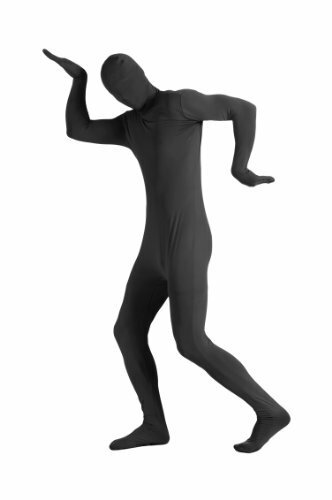 In this post This will make the perfect choice for someone who actually wants to be scary for Halloween (which is trend that appears to be dying out), although it would also be perfect for cosplay conventions too. So without further ado let’s begin. 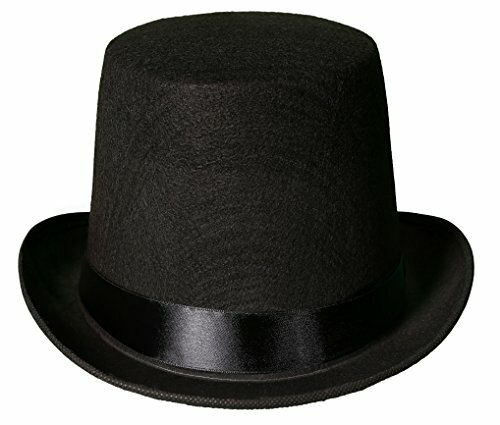 The first item you’ll need is a black top hat. 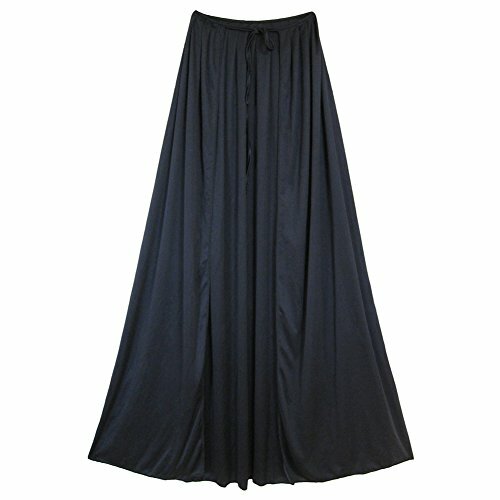 You can easily find this from the link above or buy it second hand for a few dollars at your local thrift store. If you already own a stove pipe hat like this feel free to skip to the next section. Then you’ll need is a wig. 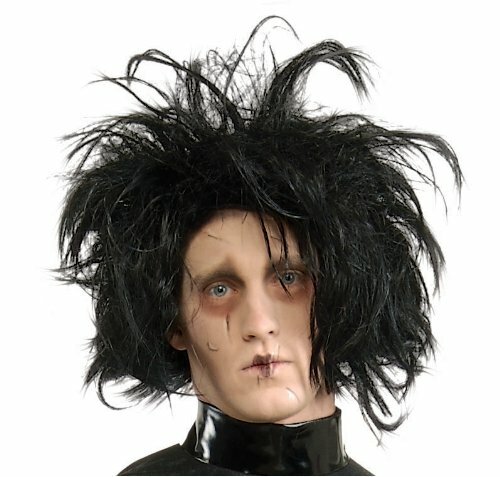 I think this black Edward Scissorhands style wig is perfect for this character as you want to accurate portray a scary and dishevelled being. If this item is not in stock you can always opt for a similar spiky black wig instead which will achieve the same effect. Now let’s move onto the clothing itself. As a scary figure everything the Babadook wears is completely black, perfect for hiding in the dark form unsuspecting victims. The first thing you’ll need is a black skin suit, a black cloak and black pants. Now you’ll want a pair of black gloves but not just any pair one that screams threatening. 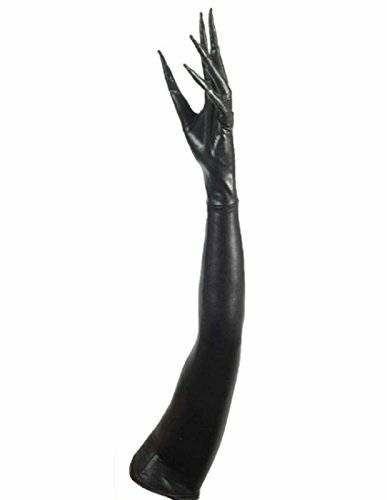 Check out these twisted circus style long fingered gloves that will work perfectly for this character. The final thing you’ll need to do is the makeup either on your face or on top of the skin suit, just make sure you’re able to see out of your skin suit with makeup on top if you go this route. Here is a black and white makeup set that will give you everything you need. Use a clear reference image or watch a clip from the movie to get an accurate idea of how the characters face looks before beginning. If you need a little guidance follow this seven minute video tutorial to make things easier. Begin by blocking out your eyebrows. Take a black lip pencil and begin tracing out the shape of the mouth (which is quite wide), without worrying about it being too neat. Then draw on the misshaped teeth, fill those in with white paint aswell as the lips and black on the inside of the mouth. Take the same black pencil and begin outlining the eyes, then paint the outline white and insides black like before. Add shadowing so the eyes and face aren’t flat and lifeless. Paint everything outside of that black including ears and neck. If you like add white sclera contacts and put on the rest of your costume.